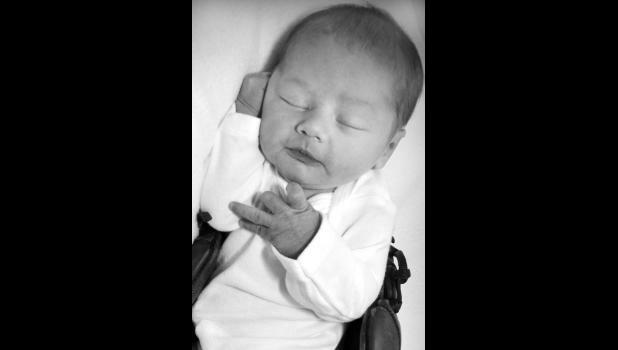 Adam and Enedina Patch of Topeka, formerly of Holton, are pleased to announce the birth of their son, Easton Michael Patch, born on Feb. 13, 2015, at Stormont-Vail Medical Center in Topeka. He weighed 6 pounds, 10 ounces and was 20¼ inches long. He was also welcomed home by his big sister, Karsyn, age 3. Maternal grandparents are Rick and Loli Diehl. Paternal grandparents are Travis and Deb Patch. Maternal great-grandmother is Karen Diehl. Paternal great-grandparents are Joe and Lee Collins and John and Nancy Patch.